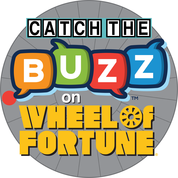 110 million viewers will catch the .BUZZ on America’s Game “Wheel of Fortune” during “Fun and Fit” week Feb. 2-6 and “Wheel Around the World” week Feb. 23-27. First set of .buzz websites launching for top 300 global destinations! Click here for details.